Liver disease is commonly associated with too much alcohol consumption. There are three main types – fatty liver, hepatitis and cirrhosis. Problems are far less likely to develop if people drink within the safe limits of alcohol consumption. For all types of liver disease which have been caused by alcohol, the main treatment is always to stop drinking entirely and seek specialist alcohol treatment. When you drink alcohol it is absorbed into the bloodstream from your stomach and intestine. The blood passes through your liver for filtering and cleaning before it circulates to the rest of the body. The liver has cells which process alcohol by breaking it down into other chemicals which are then broken down further into water and carbon dioxide which are passed out through urine and exhalation in the lungs. There is a limit to how much alcohol the liver can process, however, so if you drink more than it can handle the amount of alcohol in your bloodstream rises, causing you to become intoxicated (“drunk”). Regularly drinking too much alcohol, can lead to liver diseases – any and all of which can occur at the same time in the same person. This is when a buildup of fat cells occurs in the liver as a side effect of the high amount of toxin processing. This is not normally a problem and will reverse if alcohol detox is undertaken, but there is a significant probability that fatty liver will develop into hepatitis. Hepatitis is a medical term for inflammation of the liver, and ranges from mild to severe. Mild hepatitis often has no symptoms apart from an abnormal level of liver enzymes in the blood which can be detected by a blood test. In some cases the hepatitis becomes chronic (meaning it persists over a long period of time) which will gradually damage the liver and cause cirrhosis. Severe hepatitis causes more obvious symptoms such as nausea, jaundice, a general feeling of being unwell and abdominal pain. Very severe bouts can lead to rapid liver failure which causes deep jaundice, blood clotting problems, internal bleeding, confusion and a comatose state which is often fatal. This is a condition where normal liver tissue is replaced by a scar tissue. The scarring process tends to be gradual but affects the normal structure and regrowth of liver cells. 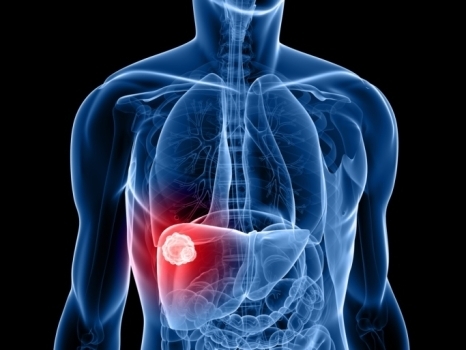 As more cells become damaged and die if proper alcohol treatment is not sought, scar tissue begins to “outnumber” proper liver tissue which means the liver cannot function properly. Scar tissue also affects the blood flow through the liver which causes blood pressure problems over time. About ten percent of heavy drinkers will eventually develop cirrhosis, often after a decade or more of heavy drinking. While the condition is serious it can be addressed by the cessation of drinking, and the sooner you stop the easier it will be to recover. Cirrhosis cannot be reversed, however, which means even if you stop drinking completely you may suffer permanent liver damage. To save yourself from liver disease and the myriad other health problems associated with alcohol abuse, contact a specialist alcohol clinic for help and advice on how you can stop drinking to live a healthier, happier life.